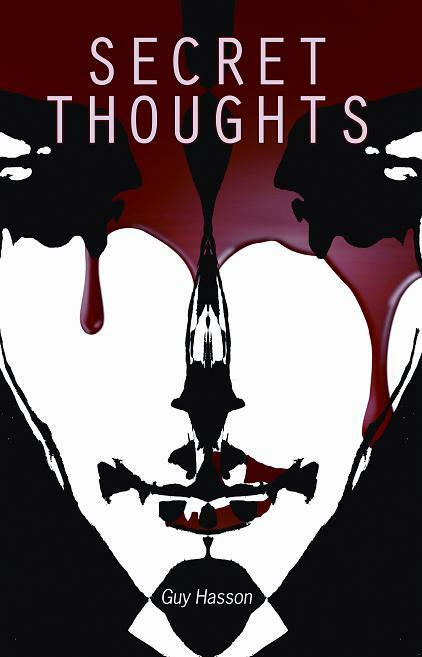 The book Secret Thoughts was just reviewed by A Fantastical Librarian. Surprisingly, the review turns out to be a really really positive review for The Emoticon Generation. I’d expected to enjoy it, based on Andrea’s recommendation, but what I hadn’t expected was that I’d be drawn in by the stories to the extent that I was. They were fascinating and even the ones that I didn’t like as much, were thought-provoking and made me think about what they meant and whether their technology might be actually possible. The stories were clever and as much about humanity and identity as about technology. This is the last (I think) of the blog tour reviews. Still to come this month: two interviews and a giveaway. Some authors use their books as proxies arguing one aspect or another of the issue (Karl Schroeder, for example, or Greg Egan), while others, like noted internet puppy Charlie Stross, advocate in real life. Hasson doesn’t take a side in the debate, instead choosing to examine the researchers, early adopters, and guinea pigs that would make such a thing possible. He seems much less interested in the hows of the thing, or the effect it would have on us some hundreds of years down the line. Instead, Hasson teases out the ethical questions that will face us tomorrow, or next year, or next decade, if it turns out we can scan our brains into computers. I don’t tend to read a lot of short stories because I feel disconnected to the characters. I usually feel that I don’t spend enough time with them to get comfy. However that isn’t the case here – the author has a way of writing that you can’t help connecting. The blog tour continues! The YA review blog Postcards from La-La Land reviewed The Emoticon Generation. The Emoticon Generation is part satirical, part speculative, sometimes humorous, and often spooky. It’s not a cookie-cutter lament against technology, or a cry for the return of life before the Internet – it’s just a look at what might happen if we push curiosity too far in certain directions. The blog tour continues! The review website, Attack of the Books, just published a review of The Emoticon Generation The review is very positive even though some of the stories were not to his liking. On the other hand, if you enjoy thought provoking short fiction, then download a copy of Guy Hasson’s The Emoticon Generation today. A collection of short stories that seem to focus on human nature when technology allows us to play with the rules of physics, each is an interesting tale with a twist. The book tour continues! This time, the review site Dab of Darkness reviews The Emoticon Generation. In this collection are seven stories that I am excited to tell you about. Guy Hasson has mostly focused on near-future technology concerning artificial intelligence (AI) and the human quest for immortality. There’s also some emoticon humor mixed in, regret on past decisions, relationship problems, and the hunt for one’s origins. The Emoticon Generation book tour is off, and the first review is up at Over the Effing Rainbow. The Little Red Reviewer has just posted a review of my latest book, The Emoticon Generation. His [last] collection Secret Thoughts was about how people deal with naturally ocurring telepathy, and his newest collection, The Emoticon Generation, is about the intersection of people and technology. I should have expected it would be weirder and more dangerous than the intersection of people and telepathy! What makes this new collection so compelling is that with today’s technology we’re only a few years away from many of these stories becoming non-fiction. These are character driven stories, and it’s nice to see characters who demand to know what’s happening and take steps to find out, instead of passively allowing things to happen to them. The truth might set us free, but sometimes it shatters us first. Read Little Red Reviewer’s full review. As you no doubt recall, my book Secret Thoughts came out last year in the US and a few weeks ago in Israel, translated into Hebrew. The first review is in. If you can read Hebrew, check it out over at the online magazine, Don’t Panic.